5) Finding a sea turtle swimming in the water Saturday morning. (It was no longer alive...which we didn't find out until Turtle Patrol went in to find it.) Still very neat that we even saw it!! SO RARE! 4) Hanging out with family many times during the weekend. Nothing better! 3) Finally having a bike! Our little beach town is so cute so it is just so fun to bike around. Obviously, great exercise, too. 2) Finding a wedding dress! (My mom cried...so I knew it was that one!) Being able to experience that with my mom & sister...so fun. 1) Being overwhelmed with love & being more in love than ever. My heart feels so full - it is overflowing! SO excited that you found your dress! I found 3 that I loved, but since it was my first time I wanted to look at a few other shops before saying yes to the dress. you are going to be gorgeous!! Ahhh so exciting that you found your dress. So happy for you. Wish you could post pics! Check out my blog post from the weekend (part 1) for pics of a giant sea turtle I saw!!! Ahhh I am so happy that you found your dress! I am sure it is gorgeous! What a great weekend! So glad you found THE dress! Yay! You found a dress! So exciting!! And a sweet sea turtle...poor guy! 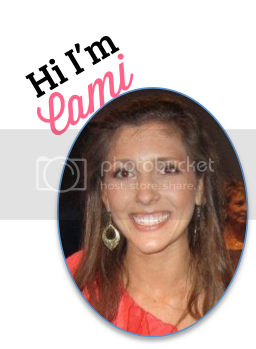 Glad everything is going well, Cami!